Known for her passionate interpretations, Gaye LeBlanc is often called a “very dynamic and solid musician”. She has been principal harpist with the Oklahoma City Philharmonic since 1996, Fort Smith Symphony, (AR) since 2005 and recently joined the All-Star Orchestra at Arizona Music-fest in 2009. She also has been principal harpist with the Amici New York orchestra at OK Mozart festival since 2005. As well as performing, her passion is also teaching. 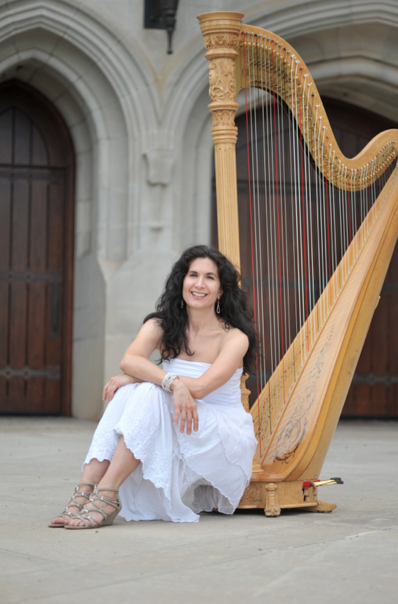 Ms. LeBlanc is currently the Visiting Assistant Harp Professor at the University of Oklahoma since 1998 where she teaches harp, harp ensemble, harp orchestral literature, harp pedagogy and two classes of Understanding Music. She also held a one-year position as the harp faculty at the University of North Texas in 2005 – 2006. She has also been harp faculty at Oklahoma City University, Oklahoma Summer Arts Institute and Blue Lake Fine Arts Camp. Before making Norman, Oklahoma her home, Ms. LeBlanc was principal harpist in several ensembles in the Dallas regional area: Richardson Symphony, Irving Symphony, Plano Chamber Orchestra, Abilene Philharmonic, Abilene Opera, Turtle Creek Chorale, Dallas Orpheus Chamber Singers, Shreveport (LA) Symphony and Pine Bluff (AR) Symphony. She was also chosen to travel Europe for six weeks as principal harpist with the North Carolina School of the Arts. Ms. LeBlanc has recorded with the Orpheus Chamber Singers, Octavia Harp Ensemble, and recently finished her second Naxos recording of the William Grant Still Symphonies with the Fort Smith Symphony last May. She recently received a patent for the construction of a Harp Stand to take the weight off the harpists’ shoulder in 2011. 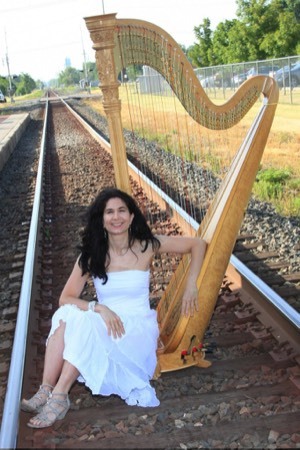 Ms. LeBlanc received her Bachelor of Music in Harp Performance at the University of North Texas with Ellen Ritscher where she began her harp studies at the age of 20 after many years of piano, organ and flute. She also received her Masters of Music in Harp Performance at Southern Methodist University with Susan Pejovich. More extensive training consisted of two summers at the Boston University Tanglewood Institute and five summers at the Salzedo School with Alice Chalifoux. Feel free to contact me using the form below for any questions you may have about hiring me for private lessons or to play at your next event. Again, thank you for your visit, and I look forward to speaking with you!